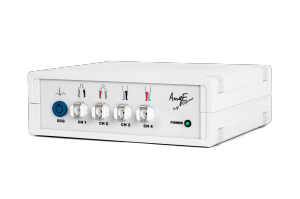 The AngE PDM allows to conduct invasive venous pressure measurement as well as compartment pressure measurement with one or two channels and provides the examiner with an open measuring program for individual measurements. The AngE PDM is a 2-channel system to perform a phlebodynamometry and compartment pressure measurement. 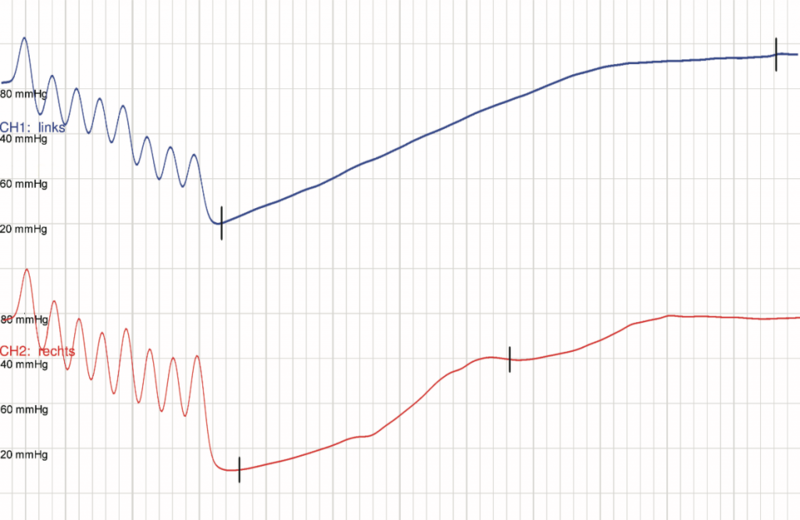 The actual pressure of a vein or a compartment can be measured by puncturing them with the aid of a butterfly-cannula. 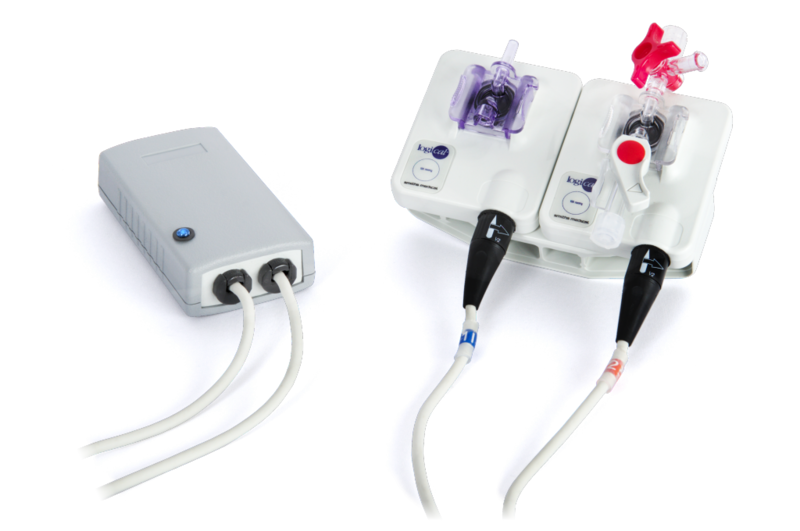 The PDM or CPM represents an important part of diagnostics relating to ulcus clarification. 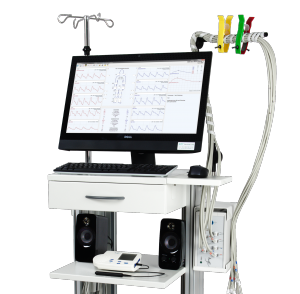 In case it is not possible to get coherent results by a duplex-sonography or a performed PPG, especially the AngE PDM can be applied as an additional instrument. In addition, it generates a basis for further therapeutically proceedings. An existing venous hypertension in the shallow veins leads to known skin alterations right up to an ulcus. If therapy resistant ulcera cruris occur, the four muscle compartments gain in importance. Enjoy the wide mobility of our handy product. 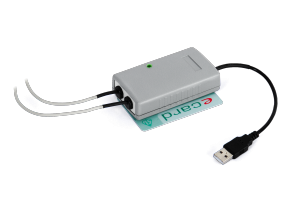 Use the AngE PDM with the size of a credit card via the USB-interface of your computer immediately. 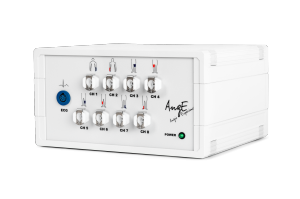 The AngE PDM enables accurate working with its two channels and an entire integration into the AngE Software. Benefit from the broad compatibility and available interfaces such as HL7, DICOM or GDT.